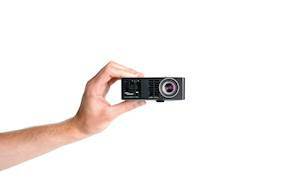 Introducing the all new ML750e ultra-compact portable LED projector. Easily transportable between your home and office, this tiny projector weighs less than 0.4kg and comes with a convenient carry bag. Watch HD movies, play video games or even present that winning presentation, the ML750e has everything you need to impress your audience. Packed full of features the ML750e incorporates a media player, native office viewer and built-in speaker. Project without a laptop using the built-in memory, a microSD card slot, USB connection. Easily connect and display from a mobile or tablet device using MHL connectivity to play a game on a big screen, view business files, photos, videos or to just listen to music. 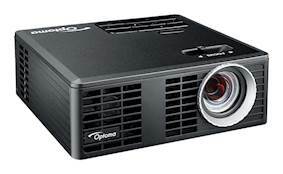 Using the latest “Lamp-free” technology for exceptional colour fidelity, reliability and longevity, the Optoma LED ultra - compact portable projector is your perfect entertainment and business partner. Rebecca Charles, Service Improvement & Oral Health Coordinator at the ABMU Health Board Community Dental Service in Wales, recently gave Optoma’s ultra mobile ML750e projector top marks. 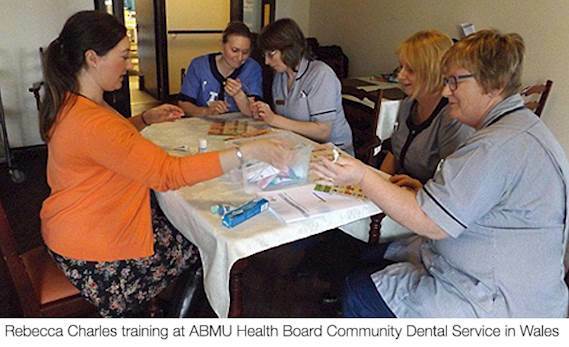 We caught up with her to find out how she uses it in her role teaching mouthcare to care home staff. How do you use the ML750e? I use it to present to a wide range of care staff in care homes, hospital settings and the community. What did you use before? I used an old version in a previous role. It was very large, bulky and overheated a great deal! Do you link it to a laptop or use the wireless dongle/SD card slot/USB input – or all of these? I link mine to my laptop and use it that way. What do you think of the image quality? The image quality is excellent. An excellent Projector. Very easy to set up and use. Very small, compact and neat so goes with me easily wherever I go. I would recommend this to other people.